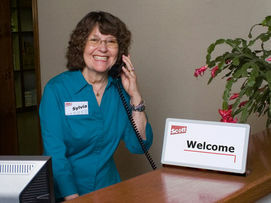 It's easy to make your own office signs, using the fast and simple SNAP Sign system from Scott Machine Development Corp. From informative countertop signs, to office door nameplates, wall signs and more, you can customize your entire setting for a professional, coordinated look. And doing it yourself never means doing it alone, because we can provide you with everything you need...bright white paper insert panels, handsome textured plastic frames, versatile attachments and accessories, along with friendly, knowledgeable people who answer the phone in person. Introduce, inform, instruct...and get your office "signed in" today! 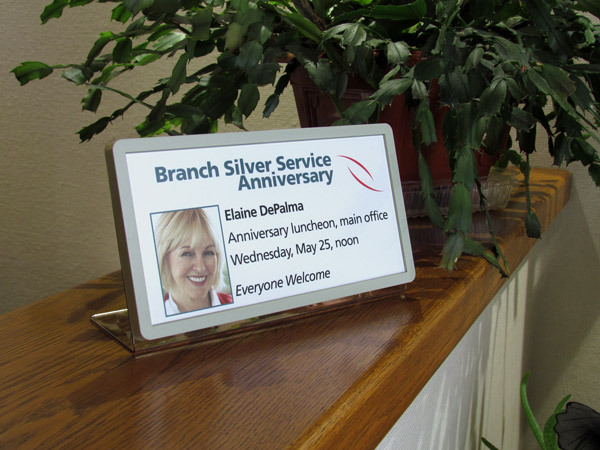 The countertop is a great place to start, when you want to highlight special promotions, recognize important milestones or convey a certain tone. Add photos or illustrations to brighten your message or make it more personal. 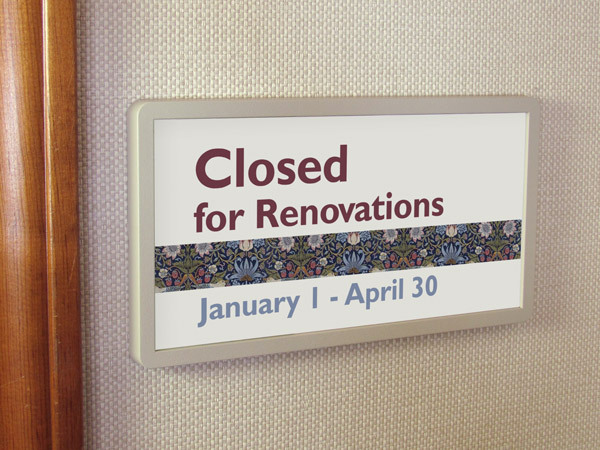 Best, of all, when you make your own office signs - the convenient SNAP way - you can change them out at a moment's notice without purchasing an entirely new sign. There's something different behind every door, so make your own door sign friendly, inviting and a reflection of the room. Whether it's just a name and a title or a special greeting, you can attract extra attention with the fonts you use and the images you highlight. Our attractive frames come in a variety of professional colors that complement every office color scheme. 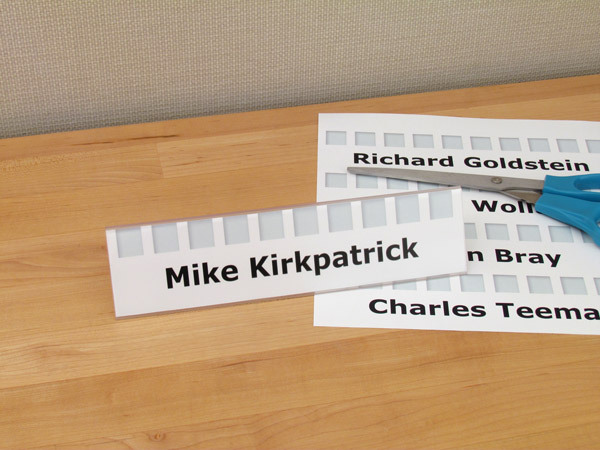 Clear plastic hangers, customized to your specifications, can secure names in place whenever you make your own cubicle sign. 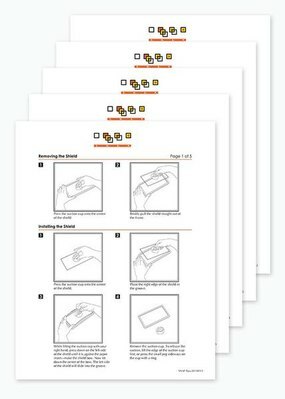 With SNAP signs, you can quickly swap out your paper inserts if personnel change or move to a different area of the office. Add color and graphics to personalize your cubicle sign even more. Take stock of our bright white, opaque papers when you're creating your office signs in the image of your company. The paper fits perfectly into your existing desktop laser or ink jet printer, with various sign panel dimensions available to you. Use our perforated papers for simplicity that makes even a novice signmaker feel comfortable. Then design away! Incredibly simple, and simply economical...that's the definition of a diy wall sign made with SNAP materials and ingenuity. Why run up the costs and headaches of a sign shop when you can make your directionals and other vital signage yourself and, when necessary, change it in an instant in just a few easy steps? If you ever need assistance, just call our toll-free number and we'll answer...in person...by the fourth ring. 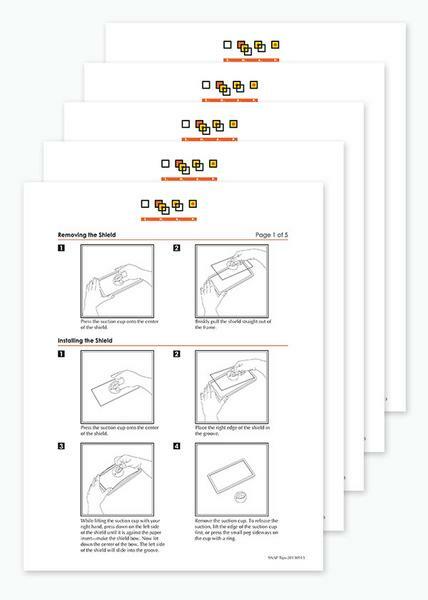 Making a SNAP sign couldn't be easier, especially with the helpful instruction pages, tip sheets and more provided by our Scott Machine staff. Learn how to install a clear plastic lens shield on your sign. Or how to remove it. 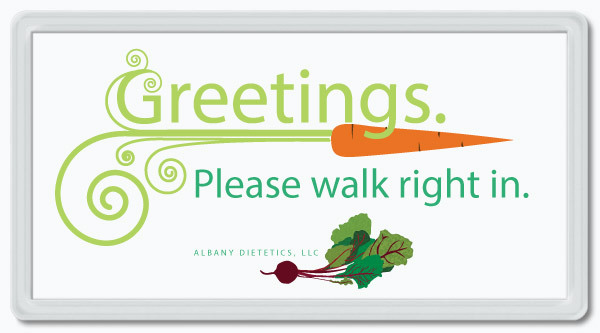 Get the "inside" on how to cut your paper, attach your frame or design your sign. It's all laid out for you, to give you confidence every step of the way. 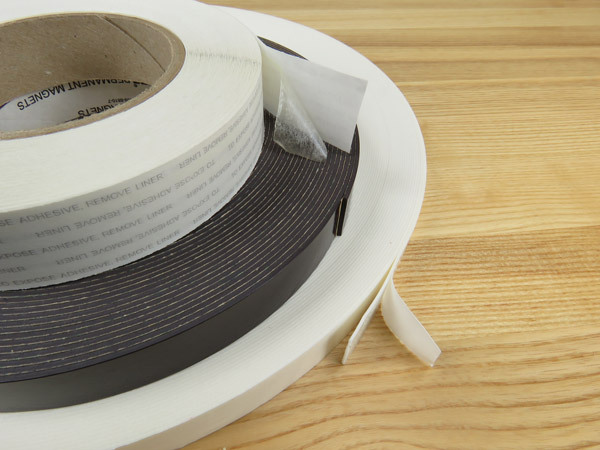 Just like our sign materials, we offer attachment tapes of all kinds - for use with every type of surface. Our thicker foam tape is the perfect adhesive for brick and concrete, while smooth textures call for our thin tape selections. If you're attaching your sign to a metal file cabinet or metal trim on cubicles, our magnetic tape does the job nicely. Just ask us if you're not sure, and we'll help you match and attach. 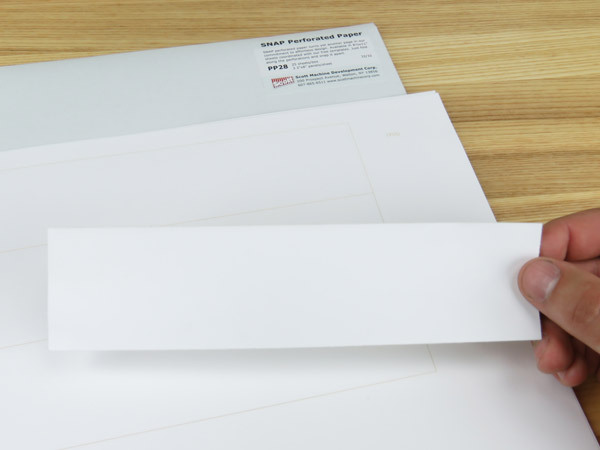 Using an ordinary printer and a pair of scissors, you can prepare your paper insert, then slip it into one of our sturdy plastic frames and snap it shut. 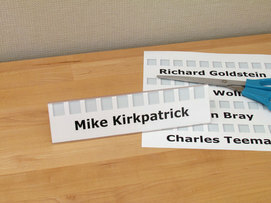 All at once, you've created a diy desk nameplate. Produce dozens of changeable name tents, too, using much the same method. SNAP...it's the easy way to make a good name even better. 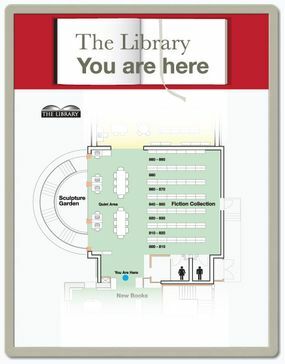 When changes of any kind require new signage, nothing's quicker than using the simple SNAP system. You can have a new diy doorplate or cubicle sign in place before the news even becomes official. And your sign, with its smudge-resistant and tamper-proof shield, remains sharp and fresh for as long as you need it. It's not just a door when it features a respected name and title. 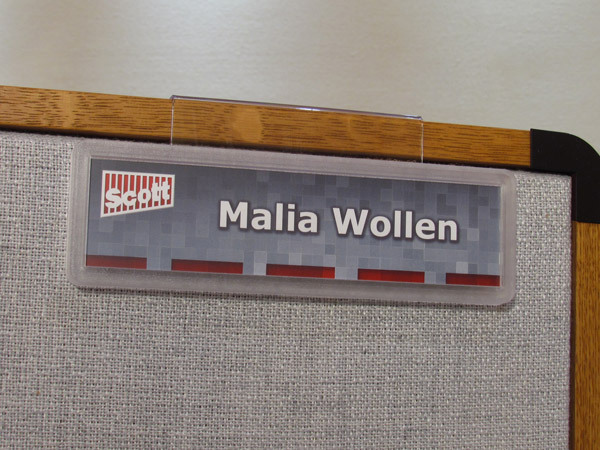 So when the moment calls for you to make your own door name plate, remember that we can provide you with all the SNAP supplies and support service you need. 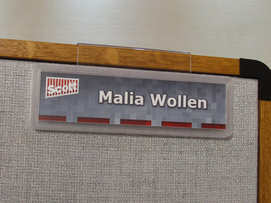 Our 4" x 10" door name plate is perfect for those times when you need extra space for added information. For names and titles, it's best to keep your fonts consistent, but don't be afraid to perk things up with a graphic element. Call us at 607-865-6511 with any questions or for samples of our work, and we'll answer in person...always by the 4th ring. We believe in one-on-one service, and that's the way it's been with us for over 50 years! 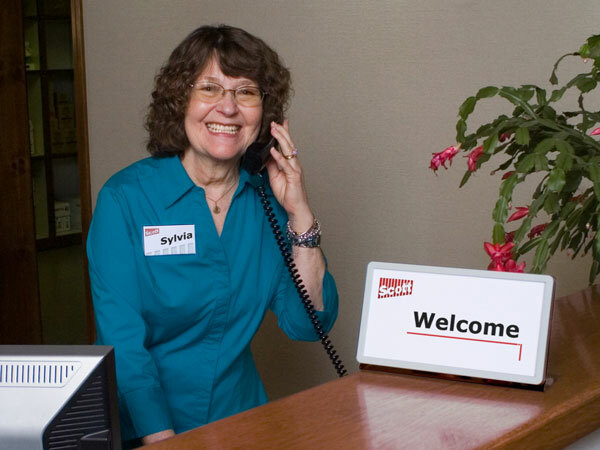 To make your own office signs, just make friends with Scott Machine Development Corp. We have all the materials and friendly support you need to create changeable, reusable signage quickly and economically. All of our products are American-made in our upstate New York facility. Call us today, and you'll see that doing it yourself doesn't have to mean doing it alone.